FEGLI – Did You Know? The Office of Personnel Management (OPM) is the only entity that has a record of your FEGLI file. They can tell you how much coverage you have and who your beneficiaries are. With proper identification of yourself for safety and security, OPM will gladly provide that information to you if you need to verify or confirm your coverage… But there are limitions. Conversely, OPM has nothing to do with a claim being filed or answered in the event of the policy holder’s death. So don’t get upset if you call OPM concerning a claim and they due to privacy issues cannot respond to your questions. Not to mention OPM cannot make recommendations to you about the amount of coverage or whether or not FEGLI is the best solution for you. Remember – FEGLI is not insurance provided by the Federal Governement – but a contractor who still has a profit motive. The administrative arm of the OFEGLI (Office of Federal Employees’ Group Life Insurance) represented by MetLife will handle your claims issues and concerns. MetLife pays death claims for Federal Employees covered under FEGLI. If the claim is less than $5,000 it is paid to the beneficiary via check. If the claim is $5,000 or more, it is paid in two ways: By check or TCA (Total Control Account). Under TCA an interest bearing account is set-up in the name of the beneficiary with MetLife. If no decision is made as to how the claim payment should be distributed, then MetLife sets up a Total Control Account. If a policy holder passes away family members may contact OPM via phone or use the website to inform OPM of the death. Discuss these provisions with your family members so that they will be informed and take the proper steps necessary to assist in taking care of the business of your life. We have talked a lot about FEGLI and yet there are many aspects of the Federal Employees Group Life Insurance we still need to touch upon. If we don’t hit upon every single aspect of FEGLI and FEGLI Rates and there are still things you need and want to know, just drop a comment so that we can address your concerns. Our goal is to hopefully answer your questions and discuss topics in a way that is clear and refreshing. We certainly try to use an approach that is more like talking to your friend in the living room or for me; the hang-out is the kitchen. Wherever you decide to have the conversation, the important thing is to have it. End of life discussions can be difficult for families and friends. I like to refer to life, whether it is the beginning or the end of the journey as –Getting Prepared for the ME. 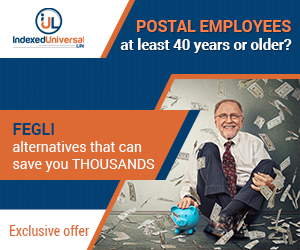 FEGLI offers an extra benefit to employees under age 45 at no extra charge. The benefit doubles the amount of life insurance payable when you are age 35 or younger. However, on your 36th birthday, the extra benefit decreases at the rate of 10% annually terminating the benefit at age 45. The extra benefit is one of those extra good-to-know items you don’t want to pass-up without evaluating it benefits to you. In the following posts we are going to discuss a few other important aspects of FEGLI. FEGLI Assignment of Benefits – Employees can, as of a law passed in 1994, assign their FEGLI Basic, FEGLI Standard Optional and FEGLI Additional Optional life insurance to an individual, individuals, a corporation or an irrevocable trust. Although there are countless reasons why a FEGLI policy holder might consider an assignment of benefits, the most common cause is generally to comply with a court order. Premium deductions continue from your salary or annuity. Once the assignment has been made, you cannot cancel your life insurance nor make any future beneficiary changes. Before we leave our FEGLI discussion, let’s discuss briefly the Living Benefit. Although the Living Benefit is still a relatively new term for many, it has become increasingly popular as more and more individuals and families struggle with life threatening illnesses leaving them strapped for money. The FEGLI Living Benefit allows the policy holder to cash in FEGLI Basic coverage if he or she is expected to pass away from an illness in 9 months or less. The Living Benefit is paid to the policy holder instead of survivors or beneficiaries. This option can only be exercised once. When the election is made it cannot be cancelled or retracted. However, if the policy holder does not expire during the time expected and recovers, he or she is not obligated to pay the money back. When the full living benefit is enacted, the premium deductions stop and the policy is also terminated. Life insurance is an important part of the financial planning process and FEGLI is a great product until you reach a certain age (speak to a financial professional to help determine when that is). Life insurance is highly personal and individual. Key decisions about your life can only be made by you and your loved ones. No matter what information you share with a professional, the biggest part of the decision-making is emotional and only you get to own it. Make sure you are working with a knowledgeable financial professional to ensure that you have the right answers to these very difficult questions. In previous articles we discussed Basic insurance and Options A and B and various FEGLI rates. Now let’s talk about the third option under the Federal Employees Group Life Insurance – Option C. Option C is Family Insurance. As with Options A and B, Option C’s premiums are also based on age. Coverage continues into retirement and you pay the full cost of premiums. Option C provides life insurance for your spouse and unmarried, dependent children, excluding foster children. Option C covers your spouse between 1 and 5 multiples of $5,000 and the children between the same multiples of $2,500. With Option C you have two opportunities to make an election — first at retirement and shortly before your 65th birthday. Even if you are already 65, you still have two opportunities to make an election at retirement and shortly after retirement. With Option C, you may choose two levels of coverage at first election: Full or No Reduction for all multiples. With Full Reductionq, at age 65 the amount of your Option C will start to reduce at 2% a month until it reaches zero. However, if you chose No Reduction, at the first election, the full amount of your Option C will continue until your death unless you change to Full Reduction. At the second election, you can also choose Full or no Reduction for any or all multiples under Option C.
A Special Note: If you choose not to stop the future reduction of coverage when you reach age 65, your premiums will cease and your coverage will drop 2% per month for approximately 50 months, after this period your coverage will cease. If you choose not to end coverage, your premiums will continue. Take your time in examining and understanding your options so that you will be pleased with the decisions you make to protect you and your loved ones. 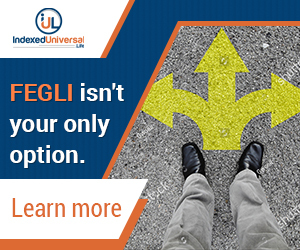 Let’s talk about Option B under the Federal Employees Group Life Insurance (FEGLI). Option B represents additional insurance of which you have the right to carry into retirement. The value of your FEGLI Option B insurance depends on your coverage election. You have the option of choosing one, two, three, four or five times your annual basic pay rounded to the next $1,000. As with Option A, you are responsible for paying the full cost of the premium. The premiums are age weighted as with Option A. With Option B, you have two opportunities to make an election — first, at retirement and shortly before your 65th birthday. If you have already reached age 65, at retirement you have the opportunity to elect when you retire and shortly after retirement. At first election you can choose two levels of coverage: Full Reduction or No Reduction for all multiples. If you choose Full Reduction, at age 65 Option B will reduce at the rate of 2% a month until it reaches zero. If you choose No Reduction, then the full amount of your coverage will continue until your death unless you change to Full Reduction. At the second election you can choose Full Reduction or No Reduction for any or all multiples of coverage. If you choose not to stop the future reduction of your coverage when you reach age 65, premiums will cease and the value of your insurance will drop by 2% per month until it reaches zero. However, if you choose to elect unreduced Option B, its value will not be reduced unless you later cancel the election or change the amount of coverage. In that respect, premiums will continue beyond your 65th birthday. The government will also contact you before you reach age 65 to request your election. You have the option to reduce part or all of your coverage. Understanding all of the provisions of your life insurance is important and can be a challenge. You don’t have to travel this path alone; there are life insurance specialists that are available for you. These would be licensed and trained financial professionals who are experts in this field. In addition to the work that your HR department can do for you, these experts can probably help you find cheaper options, especially as you age. Take the initiative and work with your human resources office to have a representative visit your office for a brown-bag round table where you can have the opportunity to get answers to your questions. Hint: Develop your questions before the round table so that you are sure not to miss anything. In a previous post we discussed the group life insurance, FEGLI, offered by the Federal Government to its employees. We talked about the Basic Life Insurance offered to federal employees. Let’s reiterate, at retirement your Basic insurance will be equal to your salary, rounded up to the next higher $1,000 plus $2,000. Under the Basic insuran ce you may choose a 75% option whose cost remains the same as when you were an active employee until you reach age 65. At age 65 your premiums cease and the value of your insurance declines by 2% per month until it reaches 25%. At your death, the benefit will be 25% of the original amount. If you choose the 50% reduction you will pay a higher premium until you reach age 65 or if you are already 65 at retirement. After which, your premiums will decrease monthly with the value declining by 1% per month until it reaches 50%. Therefore, the death benefit will be 50% of the original amount of the Basic life insurance. If you choose the ‘no reduction’ option, which is slightly more expensive, your insurance will remain the same as it was when you retired. You’ll pay a slightly higher premium until age 65, and then your monthly premium will drop. This option allows your coverage to remain the same upon your death, paying the full amount as a death benefit. Always talk to your human resources office or the plan administrator or a financial professional trained on your benefits to be certain you understand all the provisions of the life insurance you are choosing and the options. FEGLI: Term Life Insurance and Whole Life Insurance – What’s the Difference? This is a good segue to draw a distinction between term and whole life insurance. There are a number of very important issues about FEGLI (watch the video here) and how it works in retirement so that you will have all the information needed to put a plan in place that works for you. Term life insurance is the category of life insurance offered to federal employees. It typically has no cash value. Term life insurance’s value decreases with age except under certain conditions we will discuss as we lay out the options available to federal employees – FEGLI Basic Life, FEGLI Option A, FEGLI Option B, and FEGLI Option C. Term Life Insurance covers the policy holder for a specific period (term) of time. Whole Life Insurance typically has a cash value and is in force for the whole (all) of the policy holder’s life as long as the premiums are paid. Whole Life Insurance can allow for the policy holder to either cash it out or borrow against the policy. However any outstanding loans and accrued interest reduce the benefit payable upon the policy holder’s death. It is always a good idea to talk to a licensed and knowledgeable financial professional about any questions you may have concerning your life insurance. 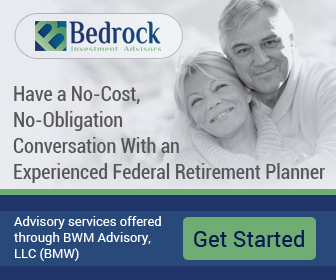 Our posts are meant to educate and disseminate information that might assist in evaluating options available to you at retirement in your benefits profile. You will almost certainly benefit from working with an expert in making sure you get the most from your insurance expense. Educate yourself by collecting, analyzing and evaluating information that will put you on the road to a comfortable and secure future. Seek out a FEGLI calculator and compare your FEGLI costs against private life insurance carriers. Know the parameters of your FEGLI policy and when you are better off with a different policy, so that you can increase your net retirement cashflow and RETIRE WELL. What Happens If I drop of suspend my FEHB – Can I Ever Get it Back? That’s a good question and one that is extremely valuable in planning for a comfortable and secure retirement. When you get the information needed to make informed decisions you can ensure that you will retire well. If you drop or suspend your FEHB under certain circumstances you can re-enroll? It is always a good idea to talk to your human resources office before you consider taking action to drop or suspend your FEHB. It should be noted that you cannot enroll in FEHB after you retire if you were not enrolled in the plan at retirement and met the FEHB qualifying criteria. A situation when suspending or dropping your FEHB may be appropriate, is when an employee marries or is married to another federal employee with FEHB coverage. Both spouses having FEHB does not constitute double coverage, as you cannot be covered under two FEHB plans simultaneously. However, each person can decide to carry self only or a family plan can be considered. Whatever the choice, it is always a good idea to weigh the financial burden of the choice made and talking with your chosen financial planner may help with your analysis. Regardless of your CSRS or FERS eligibility, if you are considering dropping or suspending your FEHB coverage you need to give a very good amount of time and energy to understanding what the impacts may be to you and your family. 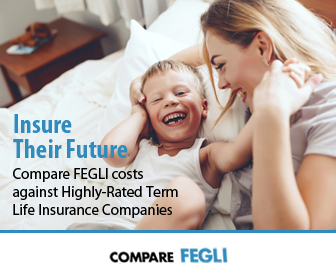 Although the cost of the FEHB premium changes annually, unlike FEGLI which gets terribly expensive as a person ages, FEHB remains cost competitive in the market with the average employee paying only about 25% of the cost. Having information and discussing options with a professional who is an expert in your benefits and your human resources office will help you make the best decision to retire well. What You Decide to do With Your FEHB at Retirement is Your Decision….. The best gift one human being can give to another is the gift of knowledge and information. As you get closer and closer to retirement, you may come across a myriad of discussions about whether you should keep your FEHB when you become eligible for Medicare or whether you should suspend your FEHB or wave goodbye to it. Give your friends, your colleagues, and even give yourself, the knowledge you need to make the best FEHB and Medicare decisions. I am sure every report you read will have some pretty good sounding reasons as to what you should do with FEHB at retirement. Their arguments might be so convincing that you find it hard to resist their opinion about the very important business of your life and your Medicare or FEHB coverage. Don’t shy away from reading and listening because you can always pick up some good tips, but remember to educate yourself on the facts – a very key ingredient to ensuring that you retire well. Get a good handle on what your health care goals are for retirement and beyond and whether FEHB fits within those plans. Speak to a professional who is an expert in your benefits and determine how you want to reach those goals and what is the best fit for what you and your family need. As you analyze the business of your life – it becomes urgently important to distinguish between what is required for you to survive and what is simply a matter of what is pleasing. There is a vast difference between need and want the decision will boil down to what you can afford. That difference will become more and more vivid as you paint a picture, as only you can, of what you want that picture to represent for you and retiring well and your health should be something that you don’t skimp on. Gather, analyze, evaluate all the information on FEHB that you can, along with all of the resources available to you so that you can make an informed decision that has the flexibility to land you in the place that fits your retirement needs to retire well..
Strong Consideration Should be Given to Holding On to your FEHB in retirement. Many Federal and Postal retirees will have a critical decision to make about their Health Benefits moving into retirement and whether or not they should transport their FEHB coverage. If your spouse has a health care plan outside of government and you have FEHB, in conjunction with you potential Medicare elections, you should careful analysis should be exercised to determine what fits best into your plan to retire well. There will never be a plan or plans that pay 200% coverage, but having your FEHB and Medicare upon reaching the qualifying age of 65 could guarantee your health care security. Medicare will only pay about 80% of your health care expenses and FEHB will cover the rest. However, once you become qualified for Medicare, and you are retired, Medicare will become the primary coverage with FEHB being secondary in most instances. If you are still working when you reach age 65 and qualify for Medicare, your FEHB will remain the primary. It should also be noted that there are many services that standard Medicare does not cover and some, even, that FEHB does not cover. A careful examination of what services are covered under both FEHB and Medicare is critical to determine the best health benefit fit for you and your family. When you become eligible for Medicare, it is very wise to look at the important benefits your FEHB offers, particularly when compared to Medicare’s prescription drug coverage. The drug prescription coverage offered via FEHB is second to none. Therefore, even when you become eligible for Medicare, don’t forget to consider holding on to your FEHB so that retiring well will be a part of your plan to live well in retirement. FERS and CSRS eligible employees have the opportunity to enroll or make special provisions to their FEHB, Dental and Vision coverage (FEDVIP) along with making the Flexible Spending Account elections (FSAFEDS) that best their families. However, during open season retirees may change their enrollment via phone or in writing. Although changes to your health plan are made during Open Season, whether you are FERS or CSRS, certain qualifying events such as change in family status, change in employment or loss of your FEHB coverage, allow changes to be made at the time the event happens. Open season runs from the Monday of the second full work week in November through the Monday of the second full work week in December. Employees have a menu of plans to choose from that are also available to retirees. Retirees should always take the opportunity to explore what benefit options are available to them in retirement. If you’re interested in more information on your Federal and Postal Retirement please read this. What Could Prevent You From Carrying your FEHB coverage into Retirement? There might be some other conditions that prevent you from carrying your FEHB into retirement. If something happens that prevents you from carrying your FEHB into retirement, your coverage will still be active for 31 days at no cost to you. When that time expires, you either must drop the FEHB coverage, continue for a period of time or convert to an individual policy. There is also a Temporary Continuation of Coverage (TCC), known as COBRA, which allows you to carry your coverage for 18 months. You must, however, pay your cost, the agency cost and the 2% administrative fee, totaling 102%. There are so many changes that have taken place around Federal Employee Health Benefits (FEHB) that individuals who find there are circumstances that might prevent them from transporting FEHB into retirement, now have a number of choices to secure health coverage. Military or Uniformed Services retirees may elect to cancel their FEHB during open season and opt for ChampVA Tricare or Tricare-For-Life These plans cover Medicare’s coinsurance, deductible and prescription drugs very much like the FEHB plan. Be sure to check to see what your plan covers and if it allows transporting FEHB, opting always to choose the plan that offers the best benefit to you and your family. Five-Year Rule Flexibility – When Can It Be Waived? 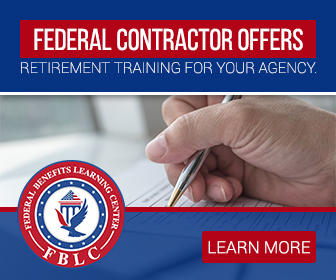 When a federal employee has been under the FEHB program continuously since the initial date of the agency’s most recent statutory buyout authority or an OPM approved buyout or early retirement authorization and the employee retires during the buyout or OPM-authorized buyout or early out period. When an employee receives a buyout or takes an early optional retirement or discontinued service retirement based on an involuntary separation because of a Reduction in Force (RIF) a directed reassignment, a reclassification to a lower grade or when a position is abolished. OPM will also consider other waivers (in addition to the five-year rule) on an individual or limited basis. Federal and Postal employees must meet the 5 year enrollment requirement in order to take my FEHB into retirement. However, if you don’t have the required time, you may use your Military Tricare time to qualify for FEHB. Military personnel enrolled in Tricare (regulated by the Department of Defense (DOD) is a health care program that serves Uniformed Service members, retirees and their families around the world) are able to count that Tricare time towards the required five year provision for FEHB as long as they are enrolled in an FEHB covered health plan at retirement. As a federal employee you do not have to worry about filling out an application to keep your health benefits when your retire. When your retirement becomes effective, your coverage will automatically transfer to the Office of Personnel Management (OPM) where they will process your retirement papers and take care of you as a retiree. Your agency will no longer be responsible for you. If, however, you decide that you don’t want to take your FEHB into retirement, you will need to include in your retirement package a fully completed SF 2809 (Benefits Registration Form) cancelling your coverage. Can I Take My FEHB into Retirement? Federal employees represent the largest workforce in the world. They also have some of the best benefits on the market with very competitive rates. The federal workforce is so large making it easy for the federal government, acting as representative agent, to negotiate rates that work in the best interest of the federal workforce and their families. Buying in large quantities can drive down costs making the rate for premiums paid by employees for health insurance some of the most competitive you will find. The Federal Employees Health Benefit program (FEHB) is open to all employees who wish to participate. Employees can choose from a number of different health plans that fit their personal and family needs. 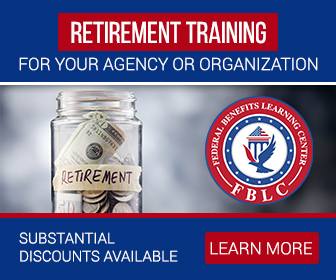 As federal employees you get to take your health insurance into retirement if you have met the requirement of being enrolled in FEHB five years or from the earliest opportunity to enroll prior to retirement. Although, as a retiree you get to enjoy the same low premium benefits in retirement, instead of paying those premiums bi-weekly, they will be deducted once per month from your Annuity. You also have the same opportunity to participate in open season just as you did while working. It does not matter how often you change plans, as long as you meet the five year or first opportunity to enroll requirement, you can transport your FEHB into retirement. How do your Medicare elections fit with your FEHB elections? Many times family members neglect to communicate those things that will help to lighten the load on one family member or a few. Being a caretaker whether directly or indirectly is a challenge and that challenge can be exacerbated by the fact that aging parent also need care and attention. But that challenge can be made easier by building a strong support system of family, friends and the many resources now available to seniors living in retirement. As a baby boomer, it is a good idea to begin looking into resources and options for your parents as well as yourself before it becomes a must. Taking the initiate to be proactive will save you a lot of time, money and stress. If you are a baby boomer living in a community where the reality of taking care of a parent is imminent, it might be wise to start or join a community focus group that will look into the best options possible for your situation – where to live, how to live, how to manage the unexpected and how to enjoy retirement in difficult situations. Having support is one of the strongest links to riding out a storm. Are your parents’ Medicare elections up to date? Can you give yourself a raise simply by saving more? Retirement Planning – Now or Later? The most important step a Federal or Postal employee can take toward a successful retirement is recognizing how and when to begin the retirement planning process. As a FERS or CSRS eligible employee the earlier you begin educating yourself and gathering as much information as possible about how your benefits will work in retirement the better off you will be. 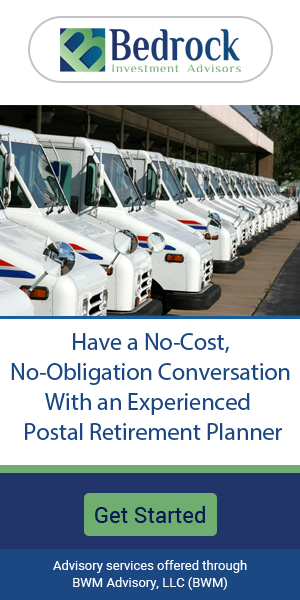 Due to the complexity of the FERS and CSRS programs Federal and Postal employees may wish to speak with a financial expert who has a clear understanding of the FERS, CSRS, FEGLI and your TSP.gov account. When is the ‘Right Time’ to start planning for retirement? As the adage goes – The best time to plant a shade tree was 40 years ago. The second best time is right now. Although our early years are not typically spent planning for retirement, they should be. Retirement planning is a very important component of the work-life cycle. The earlier we start building your nest egg (such as making contributions to your TSP.gov account), the longer it will be able to grow for you. Not only will your work and your savings begin to add up, but the compound growth that can take place over time means that your money is working for you. Reviewing your TSP.gov account regularly and making sure that your the investments and the ‘allocation’ you have matches your desired retirement plan is a must. The first day of your first full-time adult job is when you should start your retirement planning. Don’t just take that myriad of papers handed to you by Human Resources and stuff them in your desk drawer. Read them, ask questions and learn what you can do right away. And absolutely, make contributions to your TSP.gov account. Although it is never too late to start preparing to retire well, the earlier we start the greater our options and opportunities to design the kind of life we want to live in retirement. Your TSP.gov account and other investments are important when you are younger but they grow even more important as you get closer to retirement. This is when a financial professional can help you ensure that your retirement goals and income needs will be met. Will your income will be enough in retirement? Are your TSP funds getting you to where you need to be? For eligible employees your Social Security Benefits are incredibly important to your financial health. If you are eligible for Social Security Benefit payments at age 65 you will automatically receive a Medicare card in the mail. You don’t have to apply. Medicare enrollment has never been easier. What does being eligible for Social Security benefits mean? It means that you must have acquired 40 credits through either you or your spouse’s work under a Medicare covered employment. With this requirement in mind, it is not difficult to qualify for Medicare enrollment. The Social Security Administration (SSA) and the Centers for Medicare and Medicaid Services (CMS) work in collaboration to determine eligibility along with information communicated via the Office of Personnel Management (OPM). Age 62 represents the first point of eligibility to qualify for Social Security benefits if you have payed into Social Security and accumulated 40 credits. Paychecks in past years only showed FICA deductions. In more recent years, clarity has been achieved by representing Medicare and Social Security separately; 1.45% deduction for Medicare and 6.20% for Social Security, making it much easier for employees to understand. However, if you are not eligible for Social Security, you will not automatically receive a Medicare card in the mail, you will have to apply for Medicare. This is important to those Federal employees and retirees who are not eligible for Social Security for one reason or the other but still wish to pursue Medicare enrollment. Three months prior to your 65th birthday, you should file your application for benefits during the 7 month initial enrollment period. If you are unclear about the deductions on your paycheck or the specifics of Medicare enrollment, go to your Human Resources Office immediately for clarity. Checking on what deductions are being withheld from your check is imperative. It should be a part of your annual financial checkup. Having a thorough understanding of payroll deductions is a clear path to retiring well. Are not a supplemental insurance. Cover all the same services as Original Medicare except for hospice services. Traditionally cover many of the same benefits as a Medigap policy. Are managed by private insurance companies approved by Medicare. Require you be enrolled in Parts A and B to benefit from Medicare Advantage. Do not erase your Original Medicare coverage. Allow you to avoid the need for a Medigap policy. Age 65 does not automatically qualify you to receive Medicare. Age 65 is one of the eligibility criteria, but does not automatically qualify you to receive the benefit. Qualifying for Medicare is not as simple as many people believe. You must not only meet the age requirement, but either you or your spouse must have worked at least 10 years in a Medicare-covered employment in order to receive what is commonly referred to as free-Medicare-Part A (Hospital Insurance). Working for 10 years under a Medicare covered employment provides you with the 40 credits, previously called quarters, needed to qualify. On average, an employee earns 4 credits per year of employment, accumulating 40 credits in 10 years. As of January 1, 1983, if you were a federal employee, you automatically qualify for Medicare. Even if you do not qualify for Part A (premium free), the Social Security Administration might be able to direct you as to how you can obtain Part A of Medicare. Make sure to explore every option to ensure you will be qualifying for Medicare.